For the first time ever, the Englewood neighborhood has its own landmark sign at the corner of 63rd and Yale. CHICAGO (WLS) -- It was a landmark day for Chicago's Englewood neighborhood. For the first time ever, the neighborhood has its own landmark sign at the corner of 63rd and Yale. 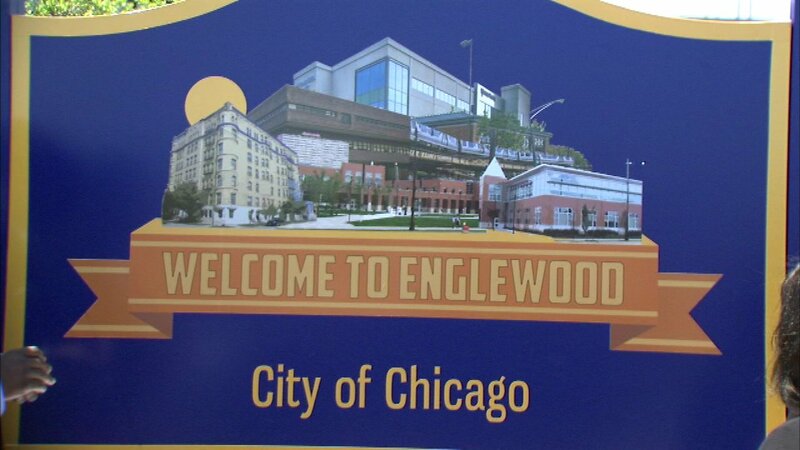 The first official community sign reads "Welcome to Englewood" and was unveiled Friday to much fanfare. "The hope is to have these signs at key entry points at the different parts of Englewood," said Rashanah Baldwin, Neighborhood Housing Service of Chicago. The sign was designed by a local artist and was paid for by a community grant.